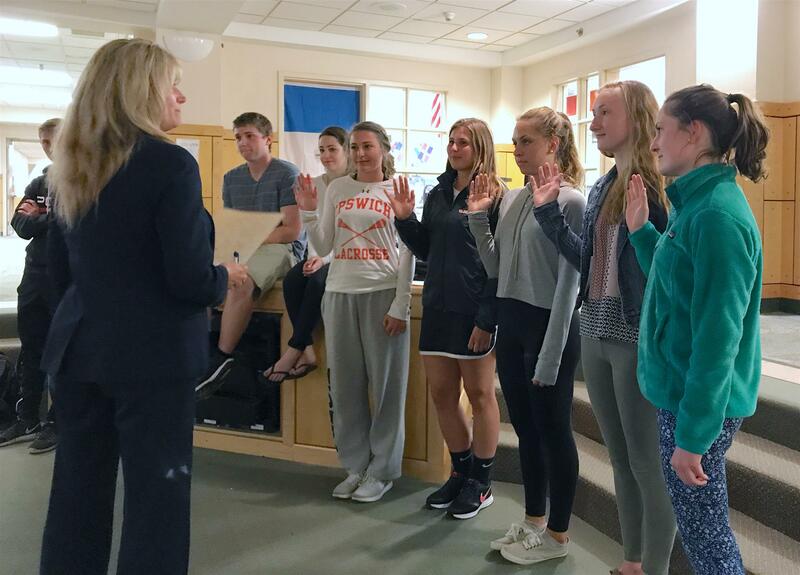 Earlier this month, the Ipswich High School Interact club inducted its Board of Directors for 2017-2018. 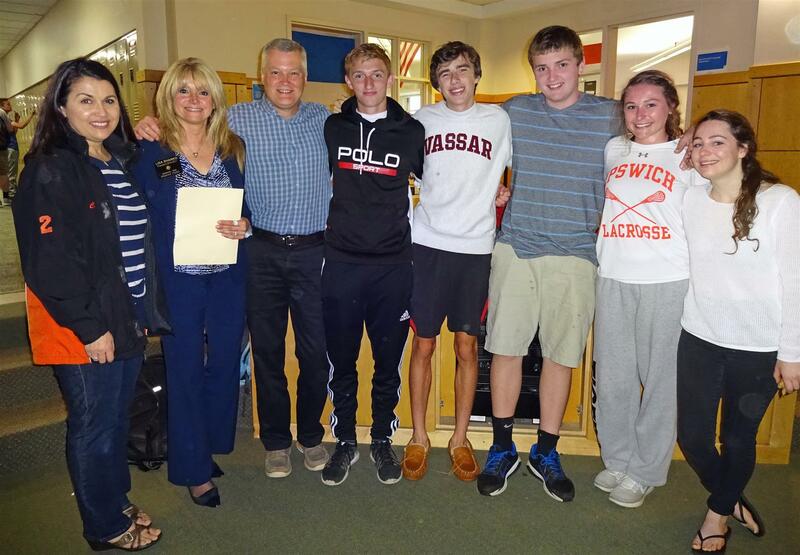 During the ceremony, the outgoing Board also was honored by the club and several members of the Ipswich Rotary Club. Ipswich Interact is a Rotary sponsored service club at the High School. The club raises money for community service projects and international humanitarian gifts. Members of the club receive credit towards the High School’s service requirements. Ipswich Rotary President Lisa Shanko inducts the incoming 2017-18 Board of Directors: Grace Quinn, President; Meghan O’Connor, Vice President; Caroline White, Treasurer; Ava Warren, Co-Secretary; and Mackenzie Greenleaf, Co-Secretary. The 2016-17 Interact Board are joined by Ipswich Rotary Club Interact Co-Chair Carrie Curley, President Lisa Shanko, and Ipswich and District Youth Officer Keith Harris. To the left of Keith, the outgoing Board members are: Jesse Cullen-Popp, Director; Reed Dolan, Treasurer; Andrew Freemont-Smith, President; Grace Quinn, Secretary; Ellis Roesler, Director.